Bill from SEO By The Sea published a good article entitled "Writing Content for Small Businesses Online", in which he talks about search taxonomies. For those new to the topic, I thought I'd go over it, and show it applies to SEO strategy. 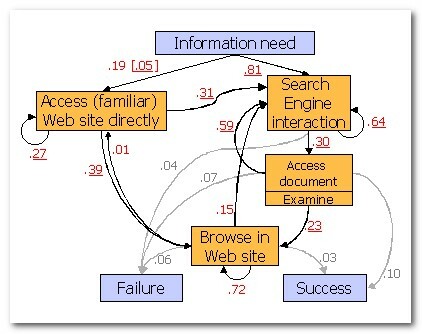 I'm basing this article on the study "A Taxonomy Of Web Search"(PDF), by Andrei Broder. Andrei is VP of Search Advertising at Yahoo, although he wrote this report while he was with AltaVista. What Is A Search Taxonomy? In summary, a taxonomy is the practice and science of classification. In terms of search, we focus on classifying keywords into three distinct classes - navigational, informational and transactional. If you can determine user intent behind keyword queries, you can better target your keyword strategies. 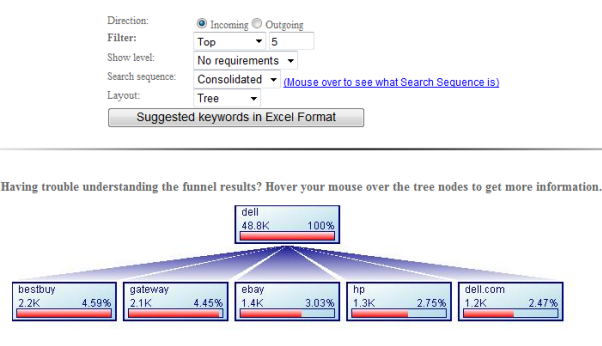 For example, if your aim is to sell goods online, you may choose to focus on transactional queries e.g. "where can I buy an LCD monitor....", as opposed to informational queries e.g. "power requirements of an LCD monitor......". There is, of course, a lot of cross-over between these three types of queries, which I'll address shortly. 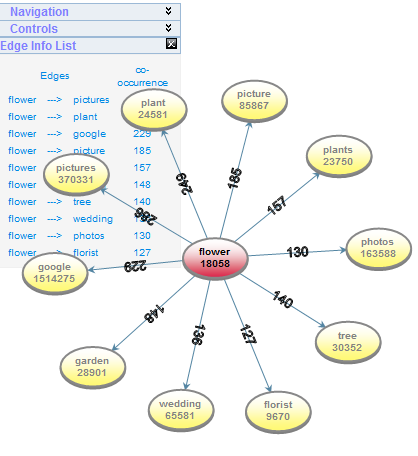 In the study, keyword queries are divided into three groups. A navigational query indicates the searcher wants to find a specific site. For example, a search for "BMW" most likely indicates the the user wants to find BMW.com. Navigational queries usually only have one "right" answer. The user either finds the site they are after, or they do not. An informational query indicates the searcher is looking for specific information. For example, "symptoms of cancer", "San Francisco" or "Scoville heat units". Informational queries tend to be broad. The informational query doesn't tend to be site specific. A transactional query indicates the searcher wants to perform a web-mediated activity. For example, "buy LCD TV online". If your aim is to sell goods and services online, you might focus more on transactional queries than informational queries. The problem with such classification, of course, is that it is narrow. We can't really determine user intent from just looking at the keyword, however this classification gives us a useful way of thinking about which keyword terms might be the most useful in achieving our goals. There are some really interesting results in this report. This is why brand, and making your brand memorable, is so important. Searchers often type a site name into a search engine, rather than type http://www....etc into the address bar. Optimizing for the name of your site is imperative if you want to catch navigational queries. A lot of SEO is focused on this type of query. Why did people conduct their searches? What were people looking for? Interesting, huh. Site's like About.com and Mahalo capture both these types of queries. 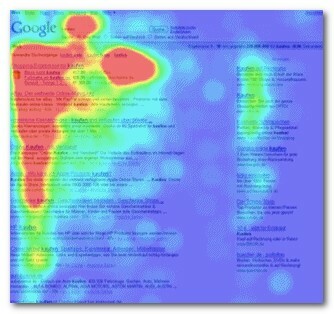 Now, with these figures in mind, check out this eye tracking study. Although the test data is limited, it is interesting to note that sites targeting a transactional query can be further down the search result set than the informational query and still receive attention, if not a click. When conducting an informational query, if searchers don't see the information they want in the first search result, they will refine their search. The same goes for navigational queries. If you're targeting the transactional query, however, the wording of your title tag could give you an advantage over those who rank higher than you. When conducting a transactional query, searchers often hunt further down the result page, or across to the Adwords, to see which listing sounds most interesting to them. So how do you apply this information? There are many cues of relevancy left by the market. All you have to do is look for them. Google typically only shows AdWords ads above the organic search results *if* they generate a high clickthrough rate (CTR). And since advertisers using AdWords are paying for every click, you can presume that for expensive keywords many of those ads are matched up with strong user intent. Tools like SpyFu ad history and KeywordSpy can help show you who has been advertising on those keywords for the longest period of time. 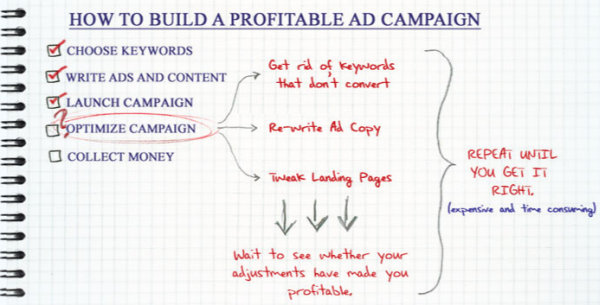 Those who have been doing it a long time are typically either optimizing their ad copy OR losing a lot of money. Where Are They Searching From? 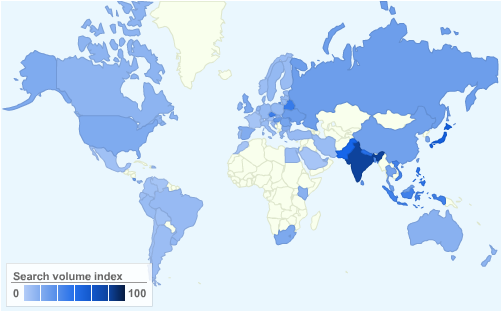 Google's keyword tools, Insights for Search, and Google Trends show where a particular search query is popular (and if there is any interesting news that is driving search queries). In addition to seeing the query breakdown by country (or state, or city), you can view ads from different locations by using the Google ad preview tool and/or the Google Global plug in. Microsoft offers a tool to categorize content. Google's Ad Planner lets you select pre-defined audiences, websites, and keywords to analyze. Both Microsoft and Quantcast offer similar functionality on a per website or per keyword basis. What Did They Recently Search For? Microsoft offers a search funnels tool which allows you to research keywords they recently searched for prior to searching for a keyword, OR keywords they searched for after they searched for a keyword. Microsoft also has an entity association tool which can be used to find keywords that were co-occuring in the search or searched for in the same session. Microsoft's Online Commercial Intent tool estimates if search queries or web pages have a high probability of being informational or commercial in nature. Who is Getting The Click? Since Google AdWords factors ad clickthrough rate into their calculations, you can presume that the top advertisers are either getting a decent CTR, or are paying through the nose for clicks. Compete.com's keyword destination data lets you know the relative click volume sites receive for a particular search query. Align your site to the intent of the user. For example, a searcher who is after information is going to want to see an authoritative looking site. What is an authoritative looking site? It will differ depending on the market you are in, but it is highly unlikely the searcher will react well to a site plastered with advertising. The site will have markers of authority, such as recommendations, perhaps a display of qualifications, and information laid out in an "academic" way (Wikipedia), as opposed to a blatant sales pitch (Multi-Level Marketing). The transaction searcher will want confirmation (e.g. a big logo) s/he has arrived in the right place. Look for emotional angles and user intent targeting strategies that competing businesses are missing. Is free shipping a big deal? Is everyone trying to sell to a person that is looking to research and compare? Find a compelling way to stand out and differentiate yourself from the competition. Even if you are only targeting 30% of searchers you can still get more traffic being the only person doing that rather than the 8th consecutive similar offer. The transactional user is more likely to forgive ads. In fact, they may even welcome them, so long as the advertising is relevant. One of the problems with the study, as noted in the study, is that it is very difficult to determine intent just by looking at the keyword. For example, an informational search could end up being a transactional search once the user is satisfied that with the answer to the information they were seeking. For example, "symptoms of flu" might turn into a purchase for a flu remedy. That's why it can be a good idea to target all types of query, in an integrated way. Carefully consider how you word your title tags. Integrate brand aspects for the navigational query i.e. "SEOBook.com - SEO Training Made Easy". Convey the information you provide "i.e. SEO Training" and transactional information i.e. the implication is that people can buy "SEO training". This information is also repeated in the snippet, although webmasters often have less control over this aspect. Keep in mind that transactional doesn't just mean e-commerce. It can relate to any desired action, such as a sign-up to a newsletter, or a request for more information. One aspect of web marketing that is getting more important is building communities and tribes. People who will return, in other words. You're unlikely to engage a community of people if all you ever offer is transactions. This is why Amazon integrates reviews and other social aspects in order to hook people in on a number of levels, even though the primary aim is to sell goods. Also check out Bill's excellent "Bills Blues" example. What approach do you take? Do you narrow in on one type of query? Go wide and try to catch all three? Please share your thoughts in the comments. Recently PSU did a similar study [PDF] on meta search clicks over 4.2 million searches. I think their navigational search queries are distributed lower than one might expect due to how they integrate ads into the organic search results and pull ads from multiple overlapping ad networks. 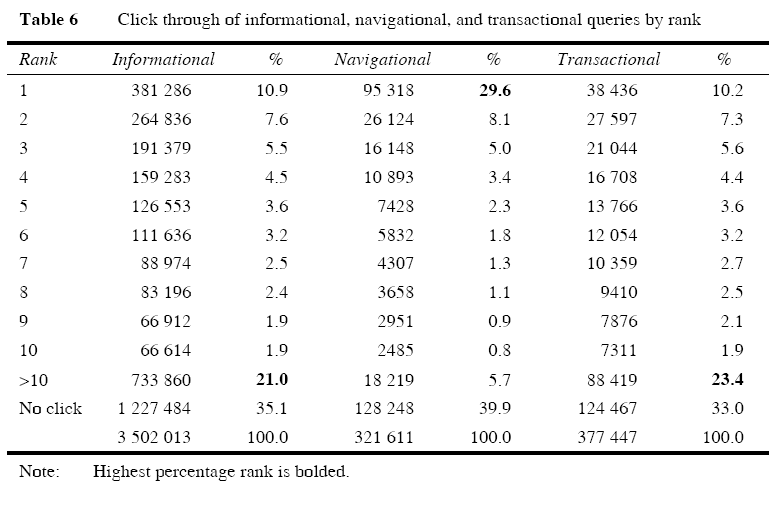 They stated that roughly 80% of search queries were informational and showed fairly similar click breakdowns on different rankings for informational and transactional searches. I wonder how much data is associated with that eye tracking study you mentioned. We estimate that about a quarter of all signed-in searches are repeats from the past month. So that seems like some of the searches in other categories are also becoming more navigational as search and the web "harden." 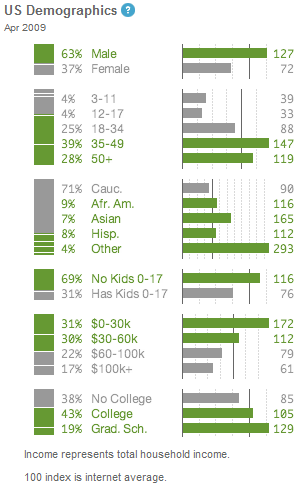 I wonder if some of that classifying navigational searches as informational searches skews the click data higher for informational searches. Search is becoming more and more of a navigational aid as we let search engines replace other informational aids like yellow pages. Really interesting post. Looking at the intent of a keyword and then understanding how to satisfy that intent is surely the best way to gain customers and build SEO. The increasing use of keywords as universal navigation rather than URLs is facinating and really shows users reliance on search engines as their relevancy guide. A refreshing post in the sometimes re-hashed world of SEO. Thanks. Excellent post packed with great resources. I especially found the Microsoft tools to be good and unique in the sense that these features aren't commonly found in other tools. I think their use of non-famous terminologies and jargon has reduced their user-friendliness to a great extent. Still, excellent links and I had to spend good deal of time today on this post and playing with tools linked. And Aaron's CTR link in the comments was a great addition too. P.S. The PDF link (A Taxonomy Of Web Search) is broken. that PDF link sorta worked for me, but it crashed Firefox and it took a while to load in other browsers. Thank you very much for sharing this information. I think that some sites out there are successful because they are focused on converting traffic from "informational queries". For example, those successful sites of reviews that release articles with really good information about a product or topic and then encourage people to buy related products/services while showing some affiliate or direct links. I think it is a very interesting business model, mainly if you keep in mind that most people is looking for information. I wonder what would happen if Wikipedia starts to recommend (with an encouraging language) and sell related product/services on its informational pages. Although people go to Wikipedia looking for information, I am sure that Wikipedia could sell a lot. Of course, another aspect is the credibility. I think you are right omarinho ... there is quite a continuum between information and transactional search queries, and through building user trust you can convert an informational search into becoming more like a transactional search. Conversely, a user experience which erodes trust can take a transactional search and convert that skeptical searcher into an informational searcher. Thanks for a great post. This is very informative. I was just reading about those three aspects of search from a book called Search Engine Marketing. However, I really liked the way that you laid it our. Very clear. I am looking forward to try out something of these things you have mentioned and some of the tools that you have offered. This will certainly make some of my SEO strategies work much better. Thanks for the great information! Really great article! I liked how you went through the whole process and particularly how you mentioned each tool involved in these processes. Thanks again. A world of great infos here! I don't think I can get through it all in a day but I am sure trying!